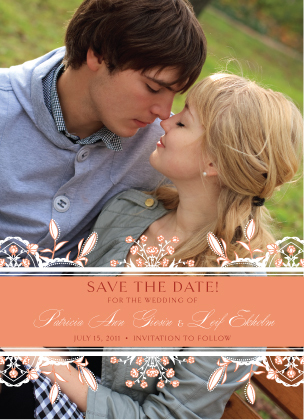 Tangerine Tango: New Dance or Wedding Invitation? 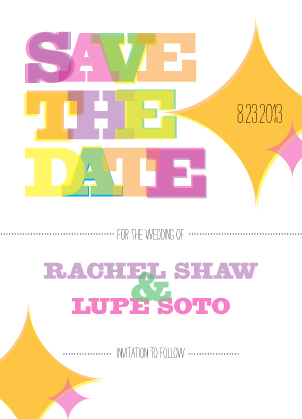 If you’re getting married in 2012 and trying to figure out a color scheme, this year’s top fashion gurus will tell you to choose any color in the rainbow–as long as it’s bold, hot, or neon! As seen in the wedding photos on www.thepreppychicblog.com, expect to see this spring’s hottest colors appear in everything from wedding invitations to flower, shoes, cakes and more. Topping the list of eye-popping colors, Pantone named Tangerine Tango the 2012 fashion color of the year. 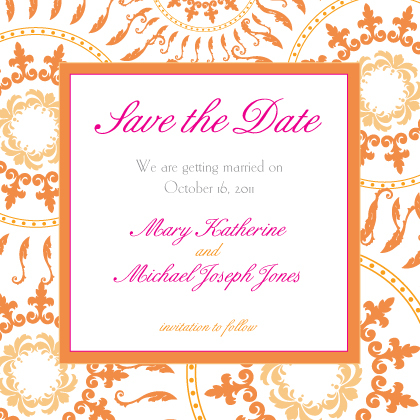 This sophisticated shade of orange is works especially well for spring and summer weddings, and is a mainstay for autumn color themes as well. 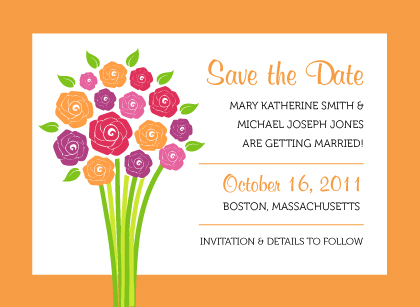 Customize with a photo or go for a rainbow of color! Simple, clean graphics or sophisticated patterns! 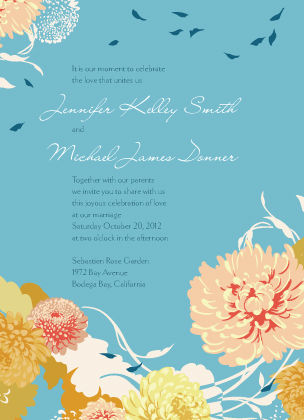 You will find a huge selection of design styles and colors on www.looklovesend.com to meet this springs/summer wedding season’s demand for high color. 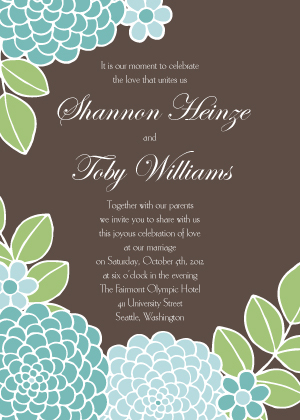 Complete wedding invitation suites come in coordinated designs including all pieces, from save the date cards through to thank you notes. Choose between smooth or textured heavy weight paper stock. All orders print and ship the next business day, with orders over 50 shipping free (domestic ground).